Our feline patients have inherited an incredible ability to hide symptoms of many diseases. This is a trait that was passed on from the bigger cats they are descended from. When living in the wild, hiding signs of sickness was important but with domesticated animals, it just makes it difficult to see when your pet is getting sick. Our cat vets in Tampa recommend maintaining yearly vigilance to help keep your cat healthy. The first step our cat clinic in Tampa recommends is annual (minimally) examinations. Our veterinarians can pick up on many subtle signs of illness that may go unnoticed at home since you see your cat everyday. These can include weight changes, appetite changes and physical exam abnormalities. Based on the exam findings, additional preventative recommendations can be made to help your cat. These can include dietary advice, proper vaccination information, preventative lab work, and dental care. 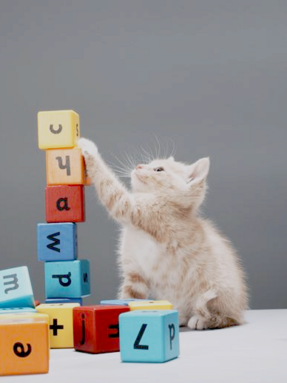 All of these things will help your cat have a better, longer quality of life. Second most important thing that will help detect problems with your cat is blood work. Many things will show up in a standard lab panel before your cat is actually showing symptoms. Our Tampa cat hospital recommends annual, preventative lab work so we can stay proactive and ahead of many diseases your cat may have. Renal disease is one of the conditions that will be detected in advance of clinical symptoms. An average cat will not show symptoms of kidney disease until 75% of the kidney mass is not working. This is just one example of the importance of preventative lab work. These two cornerstones of feline preventative care will help you give your cat the long, healthy life it deserves. Our Tampa cat veterinarians believe that by performing regular examinations, routine lab work, and preventative vaccinations we can catch many things early which will in turn lead to better, safer and less expensive treatment outcomes.